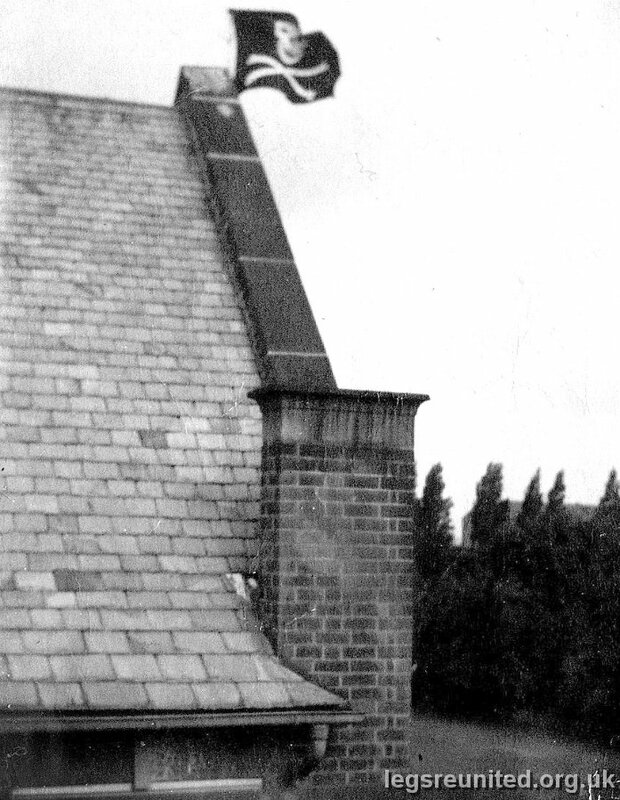 This is a very poor photo of the pirates flag placed on top of the school on 21st july 1953. According to the back of the photo the perpetrators were myself (Barrie Waby), John Carrier, John Blackburn and David Pettefar. Needless to say Drac was not amused. I definitely caught it in the neck. As to the pirates flag, it was originally intended to be placed on the school dome, but when we actually tried to do it it turned out to impractable and dangerous so we settled on the roof. I can't remember precisely how we got up, I think we used the drainpipes. I believe Felix (Mr Calton) voluntered to fetch it down but the head got the fire brigade to do it.